I absolutely love reading (and throw in writing, for that matter) non-fiction leadership books. Unless there are multiple editions, a book unfortunately runs the risk of potentially missing out on new developments or changes in the landscape since its original publication. Take for example my first book, FLAT ARMY: Creating a Connected and Engaged Organization, written in 2012 and published in 2013 by Wiley. Whilst I remain proud of the book — and my thanks to those who have bought it, and provided positive feedback to me directly — in hindsight there are certain elements I would subtract and add now that I can look back on it, two years since I finished the writing. It’s still a good book, in my eyes at least, but there are many elements I’d now change. This seems to run through the heart of a B Corp.
At its core, a B Corp is an incorporated company that intends to make a profit. That’s not really a surprise. It’s no different to what you’re used to in today’s for-profit organizations. There is a great divergence, however, from today’s profit hungry organizations and that of a B Corp. Benefit Corporations seek to take into account the welfares (and bottom line interests) of stakeholders that include the communities in which they serve, employees, environment, customers, products/services and its shareholders. A registered B Corp (adjudicated by the Certified B Corporation organization) must be “certified by the nonprofit B Lab to meet rigorous standards of social and environmental performance, accountability, and transparency” in order to achieve their accreditation and good standing. As you might denote, B Corps are structured much differently than a traditional for-profit corporation. There is still a hierarchy — an executive team runs the company in addition to (if applicable) an elected board of directors to oversee governance and so on — but the measurement of success is vastly different. Whereas a traditional for-profit company is (usually) judged solely on its financial performance — with shareholder return being the de rigour metric of the past 30 years — a B Corp judges both financial and qualitative metrics as a basis for its success. It DOES NOT solely measure success by financial targets. King Arthur Flour believes in paying at or better than a livable wage. We currently pay all regular employees at least 14% above livable wage. Profit sharing is paid when the company achieves certain financial targets. All eligible employees draw from a pool amount according to a formula set by the Board of Directors each fiscal year. An Employee Stock Ownership Plan (ESOP) is an important part of total compensation for King Arthur Flour employees. The ESOP helps tie us together as one company, making it clear that we succeed by succeeding together. The amount in each employee’s account increases based on company contributions, our stock price growth and person’s tenure at King Arthur Flour. Could it be this good? Could B Corps have established an operating model that might curb employee disengagement while continuing to meet financial goals … all the while doing good in the community and for the environment, while not losing sight of the customer? I reviewed the websites of many registered B Corps (there are over 1000 at the time of this writing) including the likes of Schoolzilla, Ben & Jerry’s, Etsy, and Canada’s own Bullfrog Power and by the time I got through them all, I was grinning ear to ear. 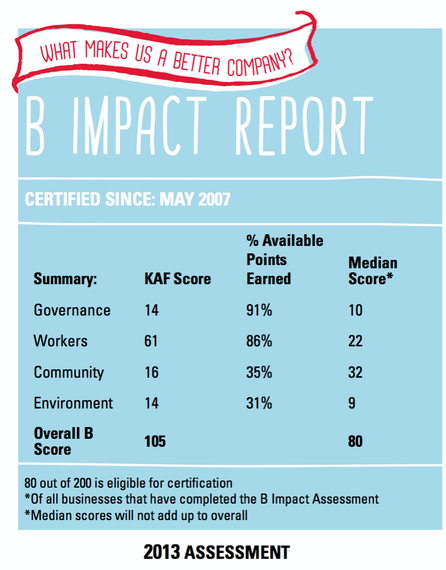 The good news is a B Corp refuses to focus its sole identity and operating mantra on the shareholder. Thus, the “world’s dumbest idea” — maximizing shareholder return — gets equal billing to the employee, community, customer and environment in the running of a B Corp.
B Corps weren’t defined prior to 1976, but it’s fair to suggest many organizations were unknowingly being run as a B Corp, before the advent of “maximizing shareholder value.” Once CEO’s and Management Boards clued in to this magnetic vortex of financial gains (both personally and organizationally), it became the way a company was managed. 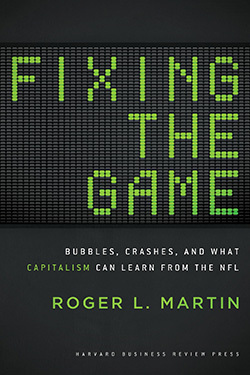 There have been many opponents to the adage, “maximizing shareholder value” backing up Roger Martin’s thesis in his classic book, “Fixing the Game”. Rick Wartzman, executive director of the Drucker Institute at Claremont Graduate University, for example, wisely stated at Time, “Building a company to be sustainable, and assessing its progress toward that end, is complicated; “maximizing shareholder value” is, by contrast, seductive in its simplicity.” The B Corp concept is not easy — after all, there are five different stakeholders to manage — but the draw of financial gains is indeed seductive if that’s what everyone else is doing. It’s a new albeit uglier form of “keeping up with the Joneses”. Over the course of an interview with the Financial Times in 2009, former General Electric CEO, Jack Welch even said, “On the face of it, shareholder value is the dumbest idea in the world. Shareholder value is a result, not a strategy … your main constituencies are your employees, your customers and your products. The idea that shareholder value is a strategy is insane. It is the product of your combined efforts – from the management to the employees”. Unbeknownst to Jack, he may have been setting us up for the introduction of B Corps, although at least in this interview, he neglected the tenets of community and the environment. What Have Been Consequences on the Worker? The top 100 compensated CEO’s in America pulled in a hair short of $3 billion in 2012. Larry Ellison Jr., CEO of Oracle Corporation, topped the list with $96,160,696 in earnings. Number 100 was Alexander Smith, CEO of Pier 1 Imports Incorporated who took home $18,755,923 in total compensation. For comparison sake, according to the United States Social Security Administration, the median wage in the U.S. in 2012 was $27,519.10, which is up ever so slightly from 2011′s median wage of $26,965.43. When adjusted for inflation, however, the median wage remains virtually unchanged since 1998 where it stood at $27,519.55 when adjusted for inflation. Americans actually earned less in 2012 than in 1998. Do you think the top 100 CEO’s in America were compensated $3 billion by way of a bi-weekly paycheque, or perhaps you would agree the bulk of that wealth came in the form of stock options and restricted stock units, by way of increasing shareholder value over time? If you’re an employee of the organization, without the financial means or performance output to partake in said shareholder wealth, how might you be feeling if your senior leaders are becoming über rich, and your total personal compensation is actually trending downward? And we wonder why — in part at least — employee engagement levels remain woefully anemic, according to Gallup, AON Hewitt or BlessingWhite. In Canada, and according to the Canadian Centre for Policy Alternatives (CCPA), it’s no different from the data points I outlined above regarding America. Based on 2012 compensation levels, Canadian CEO’s earn on average close to $8 million per year totalling roughly 171 times the average take-home pay of Canadians. Since 1998 that figure is up 105 times the average wage. Canadian workers average $46,634 in compensation, only $7.95 million shy of the CEO average in Canada. Notice any correlation to maximizing shareholder value? According to the non-partisan Economic Policy Institute, between the years 1978 and 2011, CEO pay in America increased by more than 725 percent. Paradoxically, the Federal Reserve Bank of St. Louis reported that worker productivity actually increased by 93 percent over the same time period. But this is where things seriously go askew. What has a regular worker’s pay gone up by over that same time period? Would you be surprised to know that the wages of common workers have increased by … wait for it … only 5.7 percent. There seems to be quite a gap between pay and productivity. Add to this the irrefutable fact global levels of employee engagement have not significantly increased since firms started measuring the metric in the late 1990’s, and you have yourself a recipe for disengaged organizations. If America had some form of B Corp knighthood, I’d be the first to recommend Arthur T. Demoulas to be knighted. Market Basket is a supermarket chain of 71 stores in Massachusetts and New Hampshire, with new ones about to launch soon in Maine. The company employs over 25,000 workers. 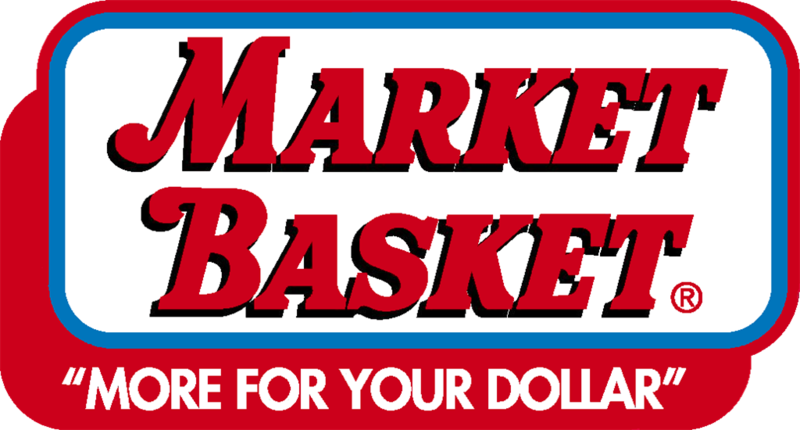 I might add Market Basket is run like a B Corp, where employees receive better pay (than its competitors), customers enjoy lower prices (than its competitors), a focus on community and the environment is a fixture … and it’s all accomplished by paying shareholders smaller dividends (than its competitors). But then a Hollywood script broke out. The workers — you know, the ones who were being treated so well under Arthur T’s leadership — exerted their ‘purpose before profit’ company ethos, and walked out. Over a six-week period, the Market Basket employees stuck up for their fearless leader, and over negotiations, lawyers and I imagine a few bottles of Scotch, Arthur T. Demoulas announced he had reached a settlement with his shareholder value fixated family members, and bought back the company for $1.6-billion, assuming operations and leadership of the chain again. Once news reached the employees, I imagine backflips and cartwheels were performed in parking lots across the two states where they currently have stores. It’s but one example, however Market Basket serves us with a few lessons. Most importantly, employees want to feel that they’re a part of something. Fair compensation is one thing, but for an employee to truly be engaged, they want the company that they work for to be a true corporate citizen that pays equal attention to the five tenets of a B Corp. As Market Basket informs us, sometimes those investments in customers, employees, environment and community come as a result of lowering shareholder value, not maximizing it. Take that Jensen, Meckling and Friedman. It’s also a concept I’m extremely familiar with at the very place I work, TELUS, a telecommunications company. Since 2000, for example, TELUS and its 44,000+ team members have donated over $350 million to the communities it serves and we have volunteered more than 5.4 million hours of our own time. The environment is a key tenet as well. By way of our revolutionary Work Styles program, in 2013 we reduced our carbon (CO2) footprint by 4,365,000 kilograms. Our team members are flourishing, making Martin Seligman proud I’m certain. Between 2007 and 2013, our employee engagement levels rose from 53% to 83%, with AON Hewitt informing us that, “The TELUS engagement score is #1 globally amongst organizations of its size and composition.” Add in our commitment to the Customers First program while — still, one might argue — becoming the global leader amongst all telecom service providers since 2000 with a total shareholder return of 286 per cent, outpacing the number two incumbent by 110 percentage points. Technically, TELUS isn’t a certified B Corp, but one might argue it really is a B Corp, one that happens to also post $11.4 billion in annual revenues. In summary, if Wiley ever asks me to write a second edition of FLAT ARMY, you can be assured B Corps become an entire section, if not a new chapter to the book. Maximizing shareholder return is not sustainable, nor is it the way in which a corporation should be run. B Corps, however, just might provide a little levity if not innovation to curbing this financial only fallacy of shareholder return myopia once and for all. PS. If you’re a visual and audible learner, Jay Coen Gilbert delivers a superb TEDx Talk entitled “On Better Business” that details the nuances of B Corps. Note: cross-posted to Huffington Post. Dan, is there a comprehensive list of B-Corps so that we might be able to start shopping them (or the stores they sell to)?